The new limits on deducting home mortgage interest won’t affect all taxpayers. But homeowners with larger mortgages and home equity loans must take heed. Also, please understand that what you see here is based purely on our analysis of the applicable provisions in the Internal Revenue Code. Subsequent IRS guidance could differ. 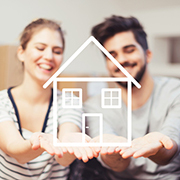 If you have questions or want more information about how the new home mortgage interest deduction rules affects homeowners, contact your tax advisor.